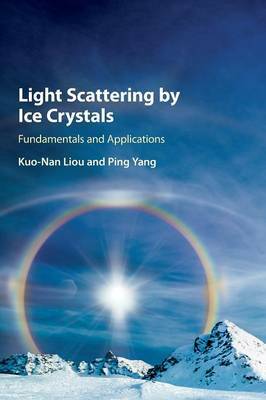 This research volume outlines the scientific foundations that are central to our current understanding of light scattering, absorption and polarization processes involving ice crystals. It also demonstrates how data from satellite remote sensing of cirrus clouds can be combined with radiation parameterizations in climate models to estimate the role of these clouds in temperature and precipitation responses to climate change. Providing a balanced treatment of the fundamentals and applications, this book synthesizes the authors' own work, as well as that of other leading researchers in this area. Numerous illustrations are included, including three-dimensional schematics, to provide a concise discussion of the subject and enable easy visualization of the key concepts. This book is intended for active researchers and advanced graduate students in atmospheric science, climatology, and remote sensing, as well as scholars in related fields such as ice microphysics, electromagnetic wave propagation, geometric optics, radiative transfer and cloud-climate interactions.